3d Terrain Models with printed surface. 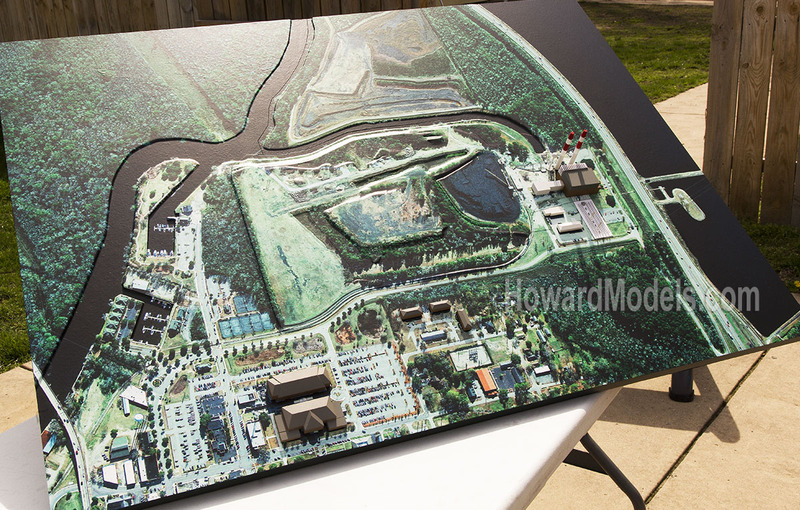 Site plan model showing existing conditions. 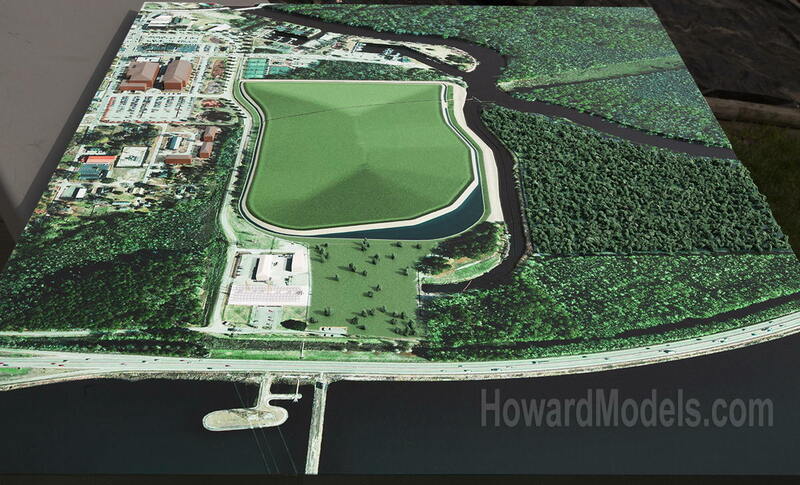 Site plan model with proposed changes. 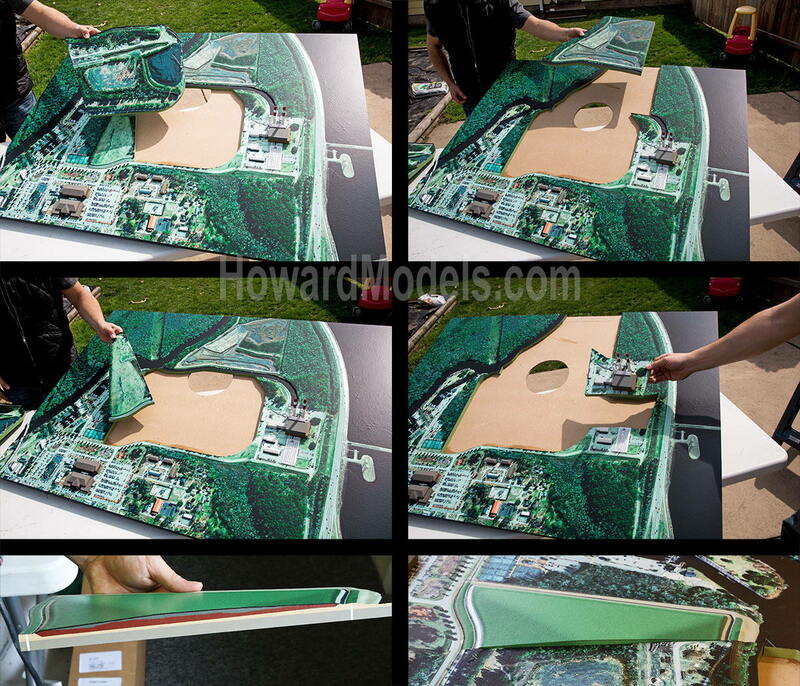 This printed topo model looks more like a puzzle when taken apart. It is 36" x 48". Three divisions were needed in the site plan model to show the phases of decomissioning - plus one split insert to show layers in the containment cells. Conway's Grainger power plant went dark at the end of 2012. 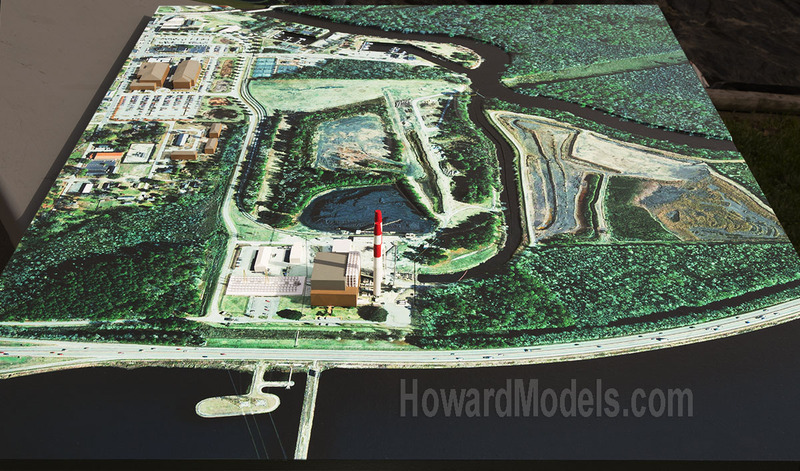 This model is used to illustrate the site reclaimation process. The ash from years of opperating will be contained to preclude contamination of the watertable. Most of our terrain model foam bases are ready to ship in 2-3 weeks.